Total No Of Nights Super Saver (min 6 pax) Economy (Min 4 pax) Economy (twin share) Deluxe (twin share) Super Deluxe (twin share) No.Of Dives Incl Equip. 5 nights on island, 1 night in KL city MYR1,817 (USD505) MYR2,367 (USD658) MYR2,756 (USD766) MYR3,629 (USD1008) MYR4,817 (USD1,338) Complete PADI Course. Net prices per person in Malaysian Ringgits & USD. Valid till Sep 15th 2006. Note:Add 2 extra nights on the train for all Super Saver & Economy 4 pax packages. 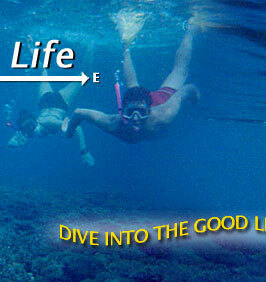 Complete PADI certification requires minimum 4 days on the island not including flight arrival & dep day. 1)	All transfers by mini van from the moment of arrival into Malaysia. 2)	Transfer to the island from KL is by overnight train and a 45 min ferry ride. 3)	Accommodation for number of nights on the island as mentioned in the chart + the Green Hut (back packer) in KL. 4)	Number of Scuba dives as mentioned in the chart with qualified dive masters or instructors & all equipment. 5)	Super Saver does not include breakfast, Economy does. 1)	All transfers by private car / van from the moment of arrival into Malaysia. 2)	Transfer to the island from KL is by a 50 min flight + 45 ferry ride. 3)	Accommodation & breakfast for number of nights on the island as mentioned in the chart + Nova hotel (3 star) in KL. Deluxe Package includes all of the above but has a direct flight to the island, no ferry ride required and accommodation in KL is at Royale Bintang hotel (4 star). Super Deluxe includes all of the above with a direct flight to the island, suits with personal Jacuzzi's in them at the island and accommodation at the Ritz-Kuala Lumpur. Pricing for min 4 pax on twin share basis. All prices in Malaysian Ringgits & US Dollars. Prices valid till Sep 15th 2006.
a)	2 nights accommodation, breakfast, Green fees (36 holes), buggy rental at the Golf resort & 1 night accommodation + breakfast in Kuala Lumpur. b)	All ground transfers from the moment of arrival into Malaysia (KLIA). Super Saver is Golf at Bukit Tinggi Golf resort, one hour's drive from Kuala Lumpur. Economy is Golf On Tioman island, off peninsular Malaysia. Deluxe & Super Deluxe is Golf on Langkawi island, though accommodation is different. All courses are 18 hole championship courses. See below for accommodation links. SC-1 Package Includes: 3 nights on the island, one in Kuala Lumpur. 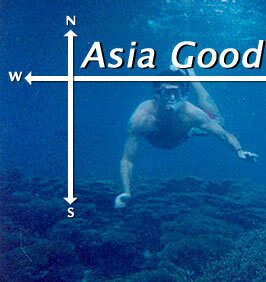 All transfers in Malaysia, hotel accommodation with breakfast, return flight to the island from Kuala Lumpur. SC-1 Economy: Is 4 star in Kuala Lumpur and 4 star on the island. SC-1 Deluxe: is 5 star in Kuala Lumpur and world top-5 island and Spa resort. SC-3 Super Deluxe: is 5 star in Kuala Lumpur and world top-5 island and Spa resort with the most exclusive chalets built on stilts in the Sea. Note:Add 2 extra nights on the train for all Super Saver & Economy packages. All transfers by private mini van / car from the moment of arrival into Malaysia. Return transfer to the island from Kuala Lumpur (KL) by overnight train and a 45 min ferry ride. Accommodation & breakfast for number of nights on the island as mentioned in the chart + the Green Hut (back packer accom) in KL. All transfers by private car / van from the moment of arrival into Malaysia. Return transfer to the island from Kuala Lumpur (KL) is by overnight train and a 45 min ferry ride. Accommodation & breakfast for number of nights on the island as mentioned in the chart + Nova hotel (3 star) in KL. Deluxe Package includes all of the above but has a direct 50 minute flight to the island, no ferry ride required and accommodation & breakfast as mentioned in the chart + Royale Bintang hotel (4 star) in KL. 1)	All transfers by Limousine from the moment of arrival into Malaysia. 2)	Domestic flight from Subang (KL domestic airport) to Pangkor and from there a 45 minute car + ferry ride to the island resort. 3)	Accommodation on Pangkor Laut island resort, a privately owned island with only one resort on it which was awarded 'best Spa resort in the world 2003' by UK's Conde Nast Traveller. Accommodation in KL is at the Ritz-Kuala Lumpur. On Langkawi island there is the additional attraction of shopping as it is a duty free shopping zone. 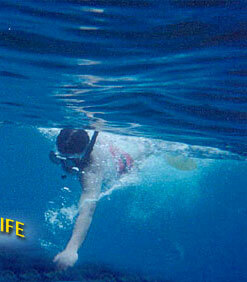 Its also possible to rent any kind of vehicle or two wheeler to explore the island. For more information and links to the hotels, islands and resorts, please go to the 'Links' page.